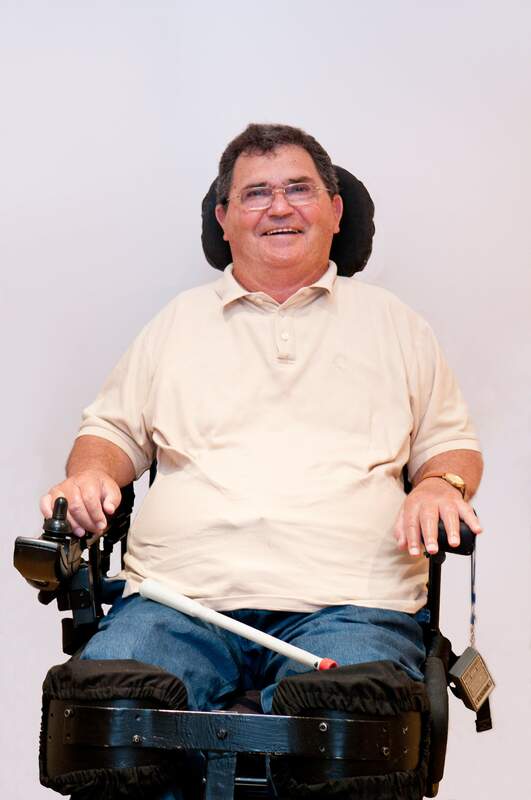 Diving into a wave, bodyboarding, a collapsed rugby scrum, even slipping on new satin sheets – these are some of the causes of spinal cord injury experienced by patients I have studied at the Spinal Injuries Research Centre at NeuRA. In addition to paralysis and a loss of sensation below the level of injury, spasticity often sets in after the period of spinal shock. Spasms of the legs only add to the problems that individuals with spinal cord injury have to deal with, compromising their ability to transfer from their wheelchair, for instance. Bill Brooks is living with a spinal injury. What causes this spasticity is unknown. Based on work in experimental animals, it was thought that – perhaps – the sensitivity of muscle spindles (exquisitely sensitive stretch receptors in our muscles) was increased following spinal cord injury. Muscle spindles are the sensory endings that respond to a tap on the patella tendon, and through their reflex connections with motoneurones in the spinal cord, generate the knee jerk. However, it was not known whether muscle spindles were any different in human subjects following spinal cord injury. Now, for the first time, the activity of single nerve fibres supplying muscle spindles has been recorded from the paralyzed leg muscles of patients with spinal cord injury. Compared to able-bodied subjects, there were no differences in either the ongoing firing rates or discharge variability of spontaneously active muscle spindle endings, nor were there overt differences in the responses to manually-applied passive stretch. My results argue against any increase in static (and possibly dynamic) stretch sensitivity of muscle spindle endings as a contributing factor to spasticity. 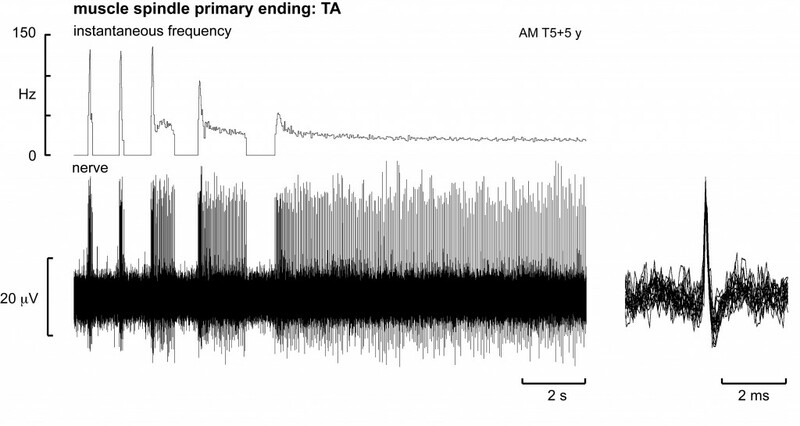 Microelectrode recording from a single muscle spindle afferent located in the paralyzed tibialis anterior muscle of a patient with a T5 lesion. The spindle ending was silent at rest, and was recruited during passive plantarflexion of the ankle in a subject with a T5 spinal lesion. Periods of muscle stretch are indicated by the horizontal bars. Superimposed spikes are shown in the right panel. Prof Vaughan Macefield is a neurophysiologist researching invasive and non-invasive means to assess how the nervous system operates in health and disease.